Businesses with a turnover below the VAT registration threshold or registered on an ‘intending trader’ basis will only be subject to MTD rules from the beginning of the VAT return period following the date when their taxable supplies breach the VAT registration threshold. It is likely that many businesses, large and small, will find the implementation of MTD a challenge.  The following have been identified as key issues by the Chartered Institute of Taxation. Changes to VAT return submission – VAT returns must be submitted to HMRC by means of a business’s functional compatible software communicating digitally via HMRC’s API platform, and not by manually entering the VAT return figures onto the HMRC portal. The figures from the accounting software should not be manually rekeyed into another package (say) a spreadsheet, which would ordinarily deal with VAT adjustments or combination of data sources, but those figures should be transferred digitally. There will be a “soft landing” in the first year of MTD, allowing more time for these digital links to be put in place. ‘Cut and paste’ (and ‘copy and paste’) can still be used during the soft landing period but not beyond 31 March 2010. Timing – MTD for VAT is still expected to take place on 1 April 2019, which is the same time as the UK leaves the EU. Notwithstanding the proposed transitional period to 31 December 2020, uncertainty around the VAT treatment of transactions between the UK and EU will inevitably arise, and businesses will need to both understand the tax-technical changes to the rules, and ensure that their accounting systems deal with such transactions correctly. HMRC have issued VAT Notice 700/22: Making Tax Digital which offers explanations to some of the questions surrounding the initiative. Making Tax Digital requires taxpayers with a taxable turnover above the VAT registration threshold to keep specific digital records and submit VAT returns using “functional compatible software”. The Notice explains which records must be kept as well as ways to digitally record transactions when required. It also sheds some light on what constitutes “functional compatible software” and some of the issues which may arise where a combination of programs is used and where these may or may not require to be digitally linked with one another. This Notice is particularly important because of the number of taxpayers that will be affected. We would recommend that it be read thoroughly now to ensure early steps are taken to ensure compliance when the initiative takes full effect next year. Alongside the VAT Notice, HMRC released some supporting documents to offer more assistance. We recommend that these be read as well to ensure the highest degree of compliance is achieved. If any doubt arises around the way in which your organisation may be affected by Making Tax Digital then please do not hesitate to contact Constable VAT at any time.